Cordes & Graefe (C&G) is a building technology wholesaler and supplier making JIT deliveries to construction sites across Germany. They offer a twice daily service and have 65 lorries transporting the goods each day. In addition to deliveries they also offer 24/7 ordering via the GC ONLINEPLUS Service Shop and a round-the-clock collection service through their ABEX-Stores. C&G place great value on their own high customer service standards and needed a warehouse that would enable them to continue to deliver these and the flexibility that their customers rely on. C&G’s guiding principles are to always remain very close to the customer, to be efficient, competent and reliable. Providing a 24/7, 365 days a year service ensures they can react within the shortest time possible. As Dexion has a similar business model when it comes to customer care, they were the logical choice for C&G. The Dexion team started by working out the best way to store each of the 40,000 items that C&G stock. As these can range in size from small parts to palletised loads and complete plumbing systems, the answer was to provide multiple solutions which worked together as one seamless solution. For the small parts handling area 5,700 shelves of HI280 Multi-tier were installed, which covered an impressive 720m2. A second mezzanine floor complemented the 1st mezzanine solution, which was designed for incoming goods only and covered an additional 221m2. Almost 28,000 pallet spaces were created using P90 Pallet Racking, which provided the ideal solution for the vast portfolio of products they stored. A cable drum rack capable of holding 499 cable reels. For longer goods, two blocks of MOVO, including 26 trolleys were installed. 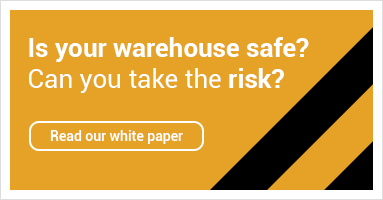 This impressive 26,000m2 warehouse now has a customised, future-proof solution which saves space, creates accessible locations for all 40,000 stored articles, achieves a quick and seamless order picking process, and that can be easily expanded in years to come. "This multiple storage solution which Dexion has provided now enables us to handle up to 65 lorries per day, delivering JIT directly to construction sites throughout Germany. Dexion has also provided us with the ability to offer a self collection service via the ABEX-Stores, which was important for us and which has proved very successful." - Jürgen Gill Warehouse Manager C&G. Cordes & Graefe Osnabrück KG belongs to GC-Group, which is a family run building technology wholesaler and supplier. For over 35 years, Cordes & Graefe Osnabrück KG has been delivering wholesale building services, specialising in the field of heating, electrical, ventilation, air conditioning, roofing technology as well as in the field of plumbing and sanitary installations across Northern Germany. The product range encompasses more than 2 million different items, which are sourced from the world’s finest manufacturers.